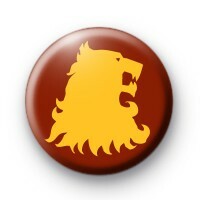 House Lannister Game of Thrones badges. Westerlands, Hear Me Roar. Lion Seven Kingdoms. A Song of Ice and Fire. TV show Books love fan.